Scientific Name: Sasa kurilensis 'Simofuri'. 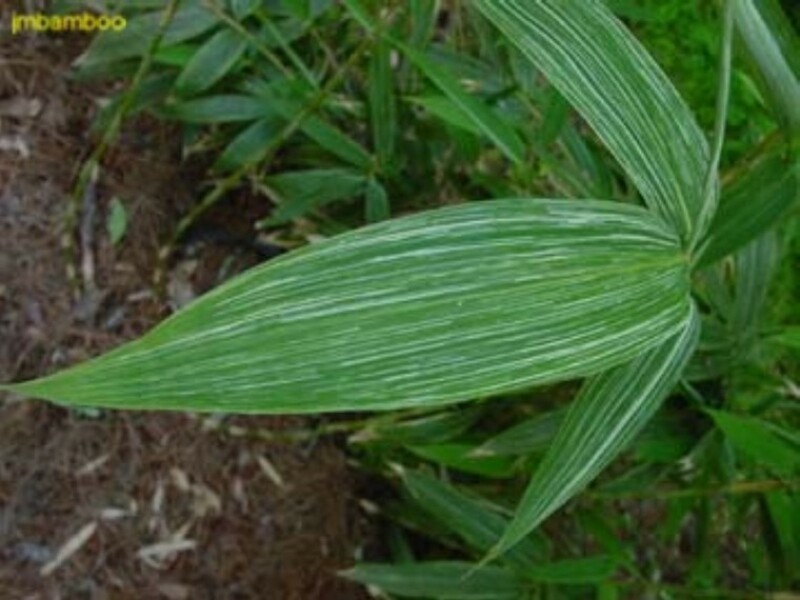 Comments: The foliage is variegated with thin white parallel stripes down the leaves. This bamboo is sometimes used as a ground cover because of the running growth character. Tolerates a wide range of growing conditions. Very cold hardy.